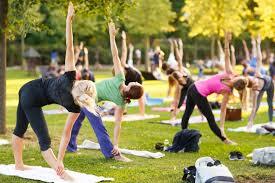 Relax and unwind with Yoga Outdoors! All Yoga Instructors are RYT Certified. All classes are done at Rockledge Park while you enjoy scenic views of Grapevine Lake! Reserve your next yoga class today! We include all necessary gear to have a great time, just come out and we’ll take care of the rest. Relax and unwind with Yoga Outdoors, a Lonestar Adventure Sports company. We are dedicated to creating an amazing Yoga experience for Yogi’s of ALL skill levels. Become a Yoga Outdoors Member with a Monthly Membership and receive these great Perks! Save more when you become a Member!